The end of the war had finally arrived. On January 27, 1945, Soviet soldiers liberated the largest and most lethal extermination camp ever set up by Nazi germany, Auchwitz. 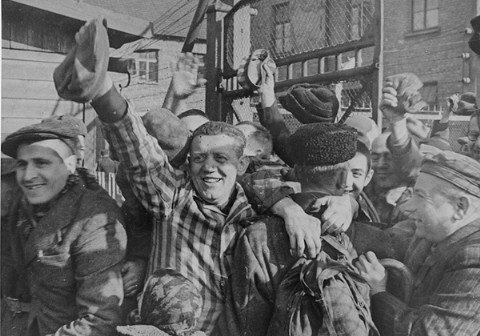 Countless prisoners had been tortured and brutally murdered by Hitler's army in this unit of death, but those who lived to see the day of freedom rejoiced like no other. The amazing happiness is seen at in these moving photographs. Before his death, Adolf Hitler had knowledge of the fact that his Reich was a failure. By 1945, his armies were virtually nonexistant, and the Russians were coming closer to Berlin each day. He moved to a Fuhrerbunker located 50 feet below the Chancellory building in Berlin. 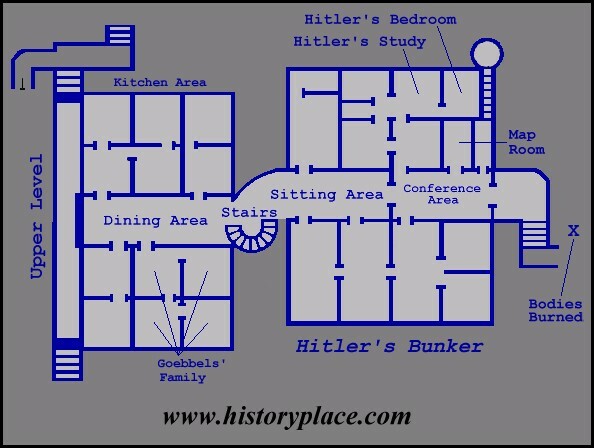 He stayed in the fortress, containing nearly thirty rooms, with only several of his most trusted associates,including Joseph Goebbels, the Nazi minister of propaganda, and his family. Hitler there held daily briefings as more and more of his army continued to desert him. He married longtime companion Eva Braun as well, but soon realized that the situation was hopeless. Hitler concluded that death would be a release for him after the recent betrayal of his oldest friends and supporters. At approximately 3:30 PM on the date of April 30, 1945, Hitler and Braun both comitted suicide in their private quarters. The following day, Goebbels and his wife proceeded to poison their six young children and then were, upon their request, taken into the Chancellory gardens to be shot. Here ends the legacy of Adolf Hitler's Third Reich.